One of the great things about Windows is that if you don’t like how it looks, you can change it. Want the Aero Glass look back in Windows 10 How to Get the Aero Glass Theme on Windows 10 How to Get the Aero Glass Theme on Windows 10 It was one of the most requested features from Windows Insiders. Still, Microsoft decided not to add Aero Glass back to Windows 10, after removing it in Windows 8. Here's how you can get it... Read More ? You can bring it back with just a few tweaks. However, these eye-catching animations come at a cost. All of the little behind-the-scenes bits of eye candy can have an impact on performance, especially on lower-grade systems. If you’d like to trade pretty visuals for more reliable performance, here are a few settings to change. The easy settings to change can be found by going to Control Panel > System and choosing the Advanced tab. Click Settings… under Performance to open a new window with the appropriate options. These settings enable features like smooth dragging, translucent thumbnails, and taskbar animations. You can choose Adjust for best performance to shut all of these options off. See if your system runs any better with them off — on systems with plenty of RAM How Much RAM Do You Really Need? How Much RAM Do You Really Need? RAM is like short term memory. The more you multitask, the more you need. Find out how much your computer has, how to get the most out of it, or how to get more. Read More , these won’t have much of an effect, but every little bit that’s not being used for these can be spent somewhere else! Find MenuShowDelay and double-click to edit it. The time to show menus is shown here in milliseconds, at 400 by default. Try 200 to shorten the duration without completely removing it, or 0 if you don’t want any animation at all. 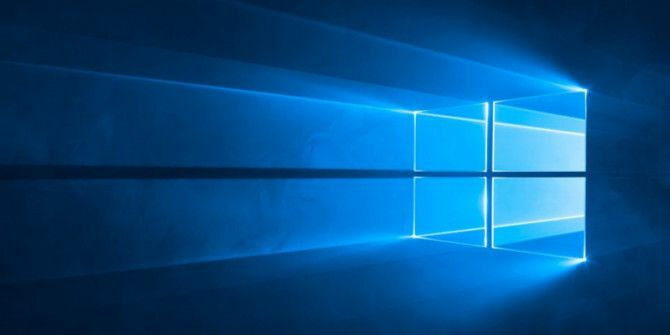 You’ll need to log off and back on (or restart your computer) for these changes to take effect, as with most Registry changes 5 Windows 10 Registry Tweaks to Improve & Unlock Features 5 Windows 10 Registry Tweaks to Improve & Unlock Features The registry editor is the only way to enable some of Windows 10's hidden features. Here we'll show you easy tweaks like enabling the dark theme or hiding folders. Read More . Do you value looks or performance in Windows? Let us know if you made any changes to these settings!